Alright, time to clear out a bit of space and maybe help some Geeks do a little holiday shopping. I have a nice set of games for sale/auction. These are all good games that I simply do not play enough or have redundant copies of. They are in varying condition but all playable, some very good to great, some fair. I will list all games in the BGG marketplace after the auction so the transaction can process through there. International is fine too, again, buyers pay actual shipping. The auction will run through MONDAY Nov 18 at 10pm EST. Please put in your bid if you want Detroit Area pick up. I will combine multiple orders to save shipping of course. Shoot me a GM if you have any questions. 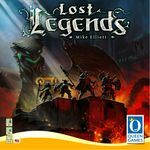 Lost Legends NEW IN THE SHRINK! Another guy in the game group has this one as well so I do not need mine. Fun game. This includes all the KS stuff. Lost Legends NEW IN THE SHRINK! Not a misprint, I have TWO copies for auction. This includes all the KS stuff. Thebes NEW IN THE SHRINK! I ordered this with Lost Legends and accidently received two copies! Queen was cool and said just to keep both. Very fun game ! 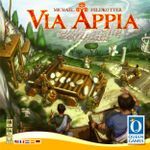 Via Appia, like new! This one just didn't go over with my group. Its ok, not great. Fun, lighter game. 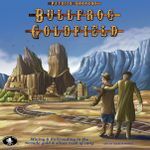 Bullfrog Goldfield, very good shape! Really great game, just does not hit the table much in our group. The Princes of Florence, in decent shape. The bits and cards are all fine, there is a big corner ding on the box and box wear. Great, great game. Karesansui NEW IN THE SHRINK! Very fun game, really neat. I have 2 copies, so this is my extra. Rialto, like new! This game just didn't really it with my group. Its fine, not great.